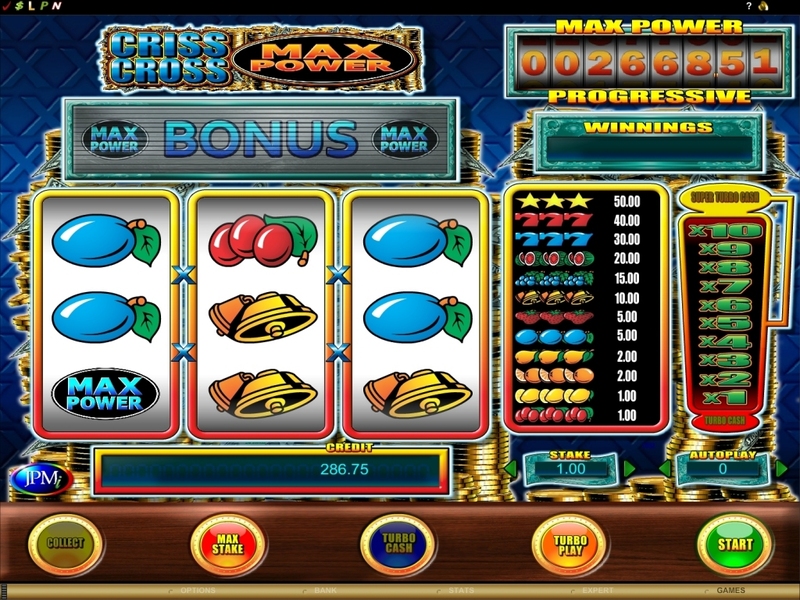 This game, designed by Microgaming, is called Criss Cross Max Power, and it’s a classic title with a look that stays true to the original slot machines, but also adds something of its own. The theme is the classic one, at least when it comes to the symbols, because the layout looks different than what you might be used to. A progressive jackpot and a bonus feature are the two extra reasons that it gives you to try it out. Criss Cross Max Power has a total of 3 reels, which isn’t much, but on them you will find a total of 6 lines. As features, the game offers something called Turbo Cash, used mostly for gambling your winnings rather than true features. 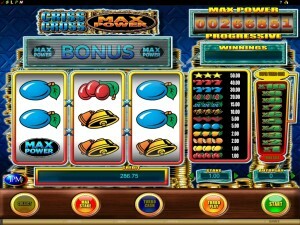 The top payout is the progressive jackpot called Max Power. While you don’t get regular features, you have something called Turbo Cash, and the Super Turbo Cash, should you want to try your luck. Whenever a winning combination forms, you get a chance to play the slot’s Turbo Cash feature, where you gamble with it in exchange for some bigger prizes, or you can simply collect your winnings and keep going at the same rate. Go high enough on the Turbo Cash ladder, and you will get to Super Turbo Cash. The other feature is the one which awards the progressive jackpot. You need three Max Power Logos on a payline, forming its own combo. If this happens, the feature begins, and depending on the result, you will get a regular prize or the progressive jackpot displayed at the top of the screen. The game allows you to place your bet on the entire game as a whole, without offering the option to select only some of the paylines. The rewards which you are offered will go up to 50 times the stake, and those will come from a combo of three Golden Star symbols. Mostly, what you’re going to find inside is a classic slot machine, with the 3 reels that you’d expect from it, with a limited number of paylines and with no regular features. It even has all the bells, 7s and fruit icons that you’re so used to seeing in these games. The overall design is not quite like it was in those pub slots, but that’s the only major difference. Symbols: Golden Star (50x), Red 7 (40x), Blue 7 (30x), Melon (20x), Grape (15x), Golden Bell (10x), Strawberry (5x), Plum (5x), Pear (2x), Orange (2x), Lemon (1x) and Cherries (1x). The progressive jackpot from Max Power would be the main reason to play this game, and it offers a lot of value for the bets that are required. The theme and the lack of features do hurt its appeal as far as I’m concerned. This Criss Cross Max Power slot is offered by all online casinos with Microgaming software, playable either in practice or in real money mode.